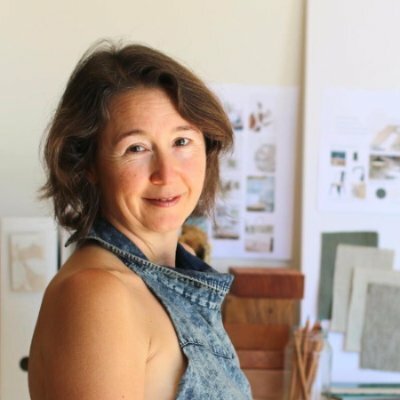 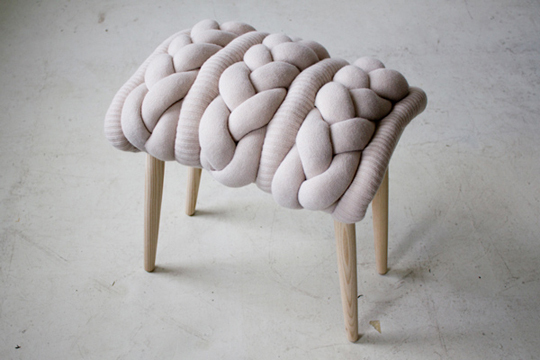 I happen to agree that reupholstering furniture is a quick and easy way to bring new life to an old piece of furniture and make a basic piece of furniture look amazing. 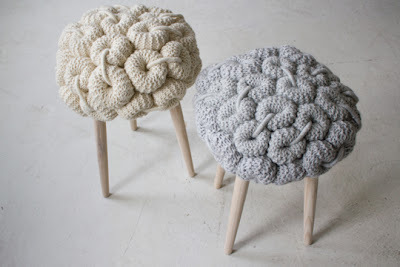 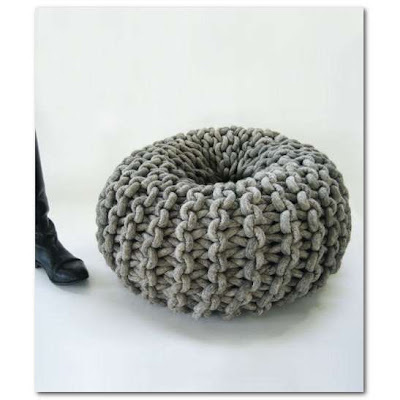 So following on from last weeks knitted lamps I found these lovely knitted stools. Created by Claire-Anne O'Brien these stools are a texture mix of hand and machine knit stitches inspired by the elements of the knitted stitch itself such as rings and loops. 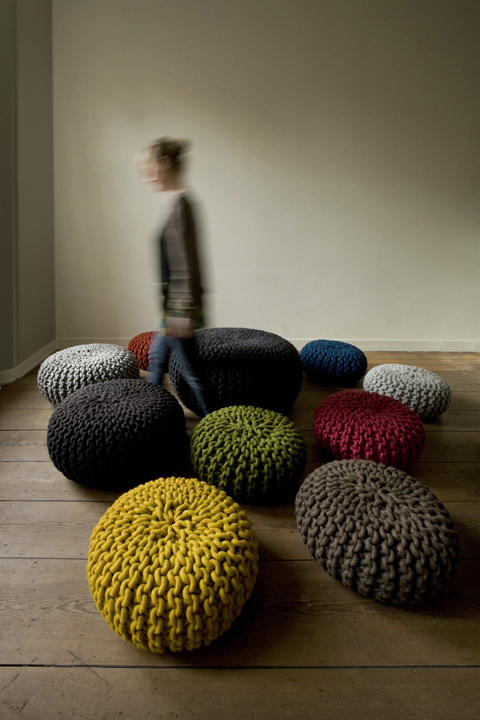 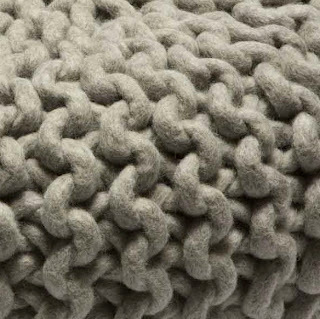 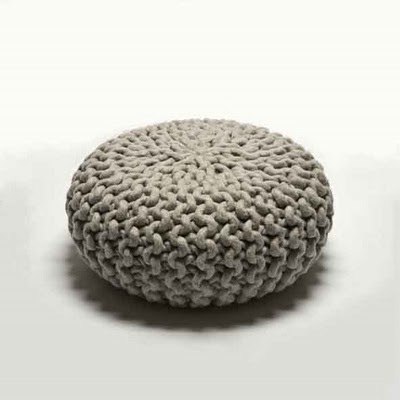 Also these Urchin Poufs designed by Christian Meindertsma are hand knit in the Netherlands using wool from a New Zealand and when you purchase your stool you get a card identifying where the sheep flock came from! 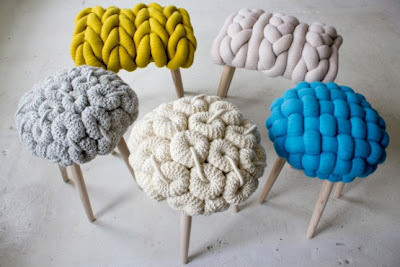 They are so inviting don't you just want to sit on them all? 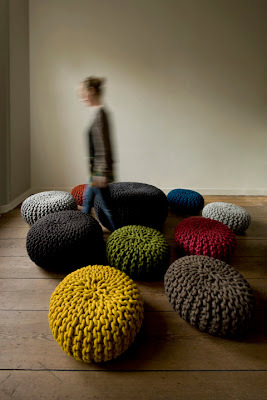 A great idea but I do think the stools look a little weird somehow but they're probably nice to sit on!